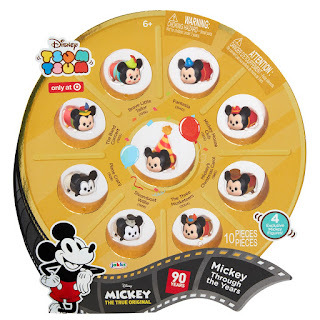 Tubey Toys Review: Video and Toy Review: Mickey's 90th Birthday Disney Tsum Tsum Target Exclusive Set - Cyber Monday Deal Going on Now! Series 12 Mystery Packs - Is this the end of Tsum Tsum? Video and Toy Review: Mickey's 90th Birthday Disney Tsum Tsum Target Exclusive Set - Cyber Monday Deal Going on Now! Series 12 Mystery Packs - Is this the end of Tsum Tsum? 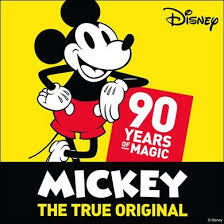 Mickey just celebrated his 90th birthday, and we have the Disney Tsum Tsum Mickey Through the Years Gift Set exclusive to Target that includes 10 Tsum Tsum Mickey medium vinyl figures featuring different eras of Mickey from Steamboat Willie to Sorcerer Mickey to Bob Crotchet Mickey from Mickey’s Christmas Carol to celebrate. 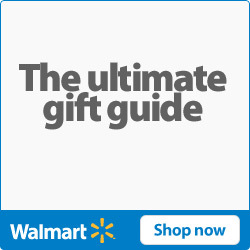 Grab that set now at Target for $14.99 (regularly $19.99), and if you have a Target Red Card, take an additional 5% off! We also open up some Disney Tsum Tsum Series 12 blind bags with eight to collect in all varying from repaints to redos, this set is still full of magic. We finally have an invisible Cheshire Cat, revised accessory packs for Stitch with his record player, Sally with a picnic basket, and more! My favorite is Princess Aurora in her canopy bed wearing her blue dress. Jakks Pacific really does such a great job with these Disney details! I really hope the rumors that Series 12 is the last series is just a rumor! 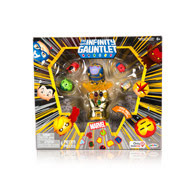 We also unboxed Thanos’s light up Gauntlet set, which was a Summer Expo Exclusive sold at Game Stop for $14.99 (on sale now, regularly $19.99). The gauntlet features light up infinity stones, and a large Thanos sits atop. Which ones are you favorite from what we opened in our video?